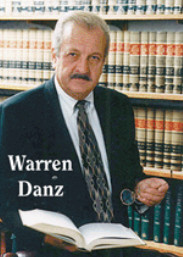 Workers' Compensation - Law Offices of Warren Danz, P.C. The Illinois Workers’ Compensation Act was designed to protect employees who sustained on-the-job injuries to be given certain benefits, medical and employee rights, and compensation for their injuries. Our office takes workers’ compensation law very seriously and have helped thousands of people over 50 years in this area. Our office works on a contingency fee basis and only gets paid if you get awarded benefits.